Serving South Austin with 10 and 20 yard roll off dumpsters. 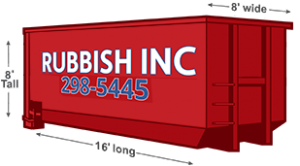 When you have a pile of garbage, debris or construction waste you can count on RUBBISH INC™ to provide top quality dumpster rentals and junk removal in South Austin. Residential and commercial properties can be cleaned up quick and easy without having to make a single run to the city dump. If you need to save time, keep a job site safe or don’t have the equipment to contain all the junk we’ve got you covered. Within 24 hours we can be there with a junk removal team, dump truck hauler or roll-off rental dumpster. Located in the heart of Westlake, we are proud to serve all South Austin neighborhoods. Scheduling a junk removal crew or dumpster rental in South Austin is easy when you work with RUBBISH INC™. Call or email us to let us know how much junk you have to clean up. A knowledgeable member of our customer service team will help you decide which option will be the most economical. 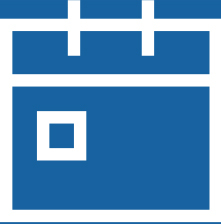 We offer completely transparent, flat rate fees so you know the true cost upfront. Tell us when you want to schedule a junk removal crew or dumpster rental delivery. We can be there in as little as 24 hours – sometimes sooner. If you’re scheduling junk removal in South Austin we’ll also need to know where the debris is located if you won’t be onsite. Need clean up services? We provide those as well for a flat hourly rate – let the rep know and it can be included with your junk removal. Our junk removal team can get most jobs done within a few hours. Rental dumpsters are safely put into place using a hook and lift system that eliminates dragging. They can remain onsite while you work so you can go at your own pace. When the dumpster is full or your work is complete, give us a call and we’ll schedule a pick up. RUBBISH INC™ can also provide hauler services if you know you’ll need to make multiple dump runs in a single day. Don’t let junk stress you out and slow you down - South Austin dumpster rental and junk removal services start at just $189! Ready to get rid of the mess? Call us today to schedule fast rental dumpster delivery or junk removal in South Austin. What types of trash can't be put in your dumpsters or removed? Just about anything in your trash pile can be hauled off in our roll-off dumpsters or junk removal trailer. However, laws and safety concerns prohibit us from removing or transporting hazardous materials. Most South Austin junk removal jobs don’t include this type of waste, but our experts are here to help if you aren’t sure whether or not something is hazardous. The only other things that can’t be put in our standard rental dumpsters are gravel, concrete and soil. This type of debris is extremely heavy and can damage the equipment. If you need soil, gravel or concrete removed call us to learn more about the available options. How much debris can fit your dumpsters? Or your South Austin junk removal trailer? It should be noted that you can choose to use ¼ trailer, ½ trailer, ¾ trailer or a full trailer for your job. How quickly can I schedule junk removal or a dumpster rental in South Austin? Customers keep coming back to RUBBISH INC™ because we provide reliable, fast service. Services can be schedule any hour of the day. Typically, we can get a junk removal crew or rental dumpster out to any South Austin location within within 24-48 hours. Faster delivery is possible depending on availability.